Have you been to the Singapore Zoo at night? I’m not talking about the Night Safari. I mean, the Singapore Zoo. Usually, you won’t. Or rather, you can’t because the Zoo closes at 6pm daily. From 1 July 2018, you can! The Singapore Zoo has come up with a new attraction in celebration of its 45th birthday! 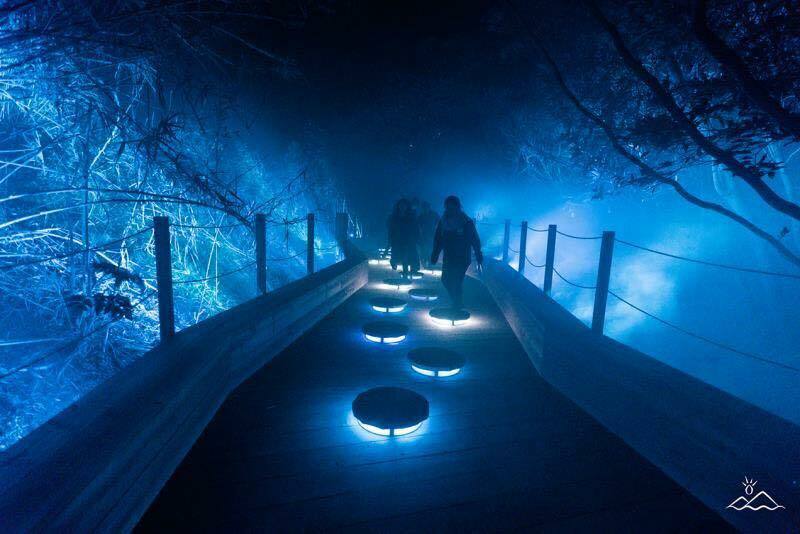 Held in collaboration with Moment Factory, Rainforest Lumina is apparently the first multi-sensory night walk experience in Asia, with more than 10 interactive zones along the 1km light trail that takes you through the Singapore Zoo. However, don’t expect to see any live animals (they’re off-duty). 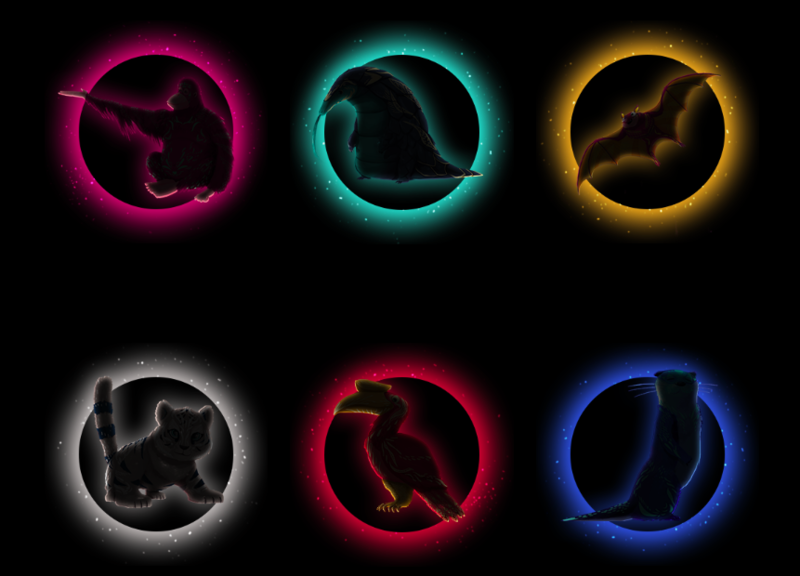 The only animals you’ll see are on the various light installations or projections. With zones that look like they’re lifted straight out of James Cameron’s 2009 film, Avatar, this is guaranteed to be a luminescent spectacle. 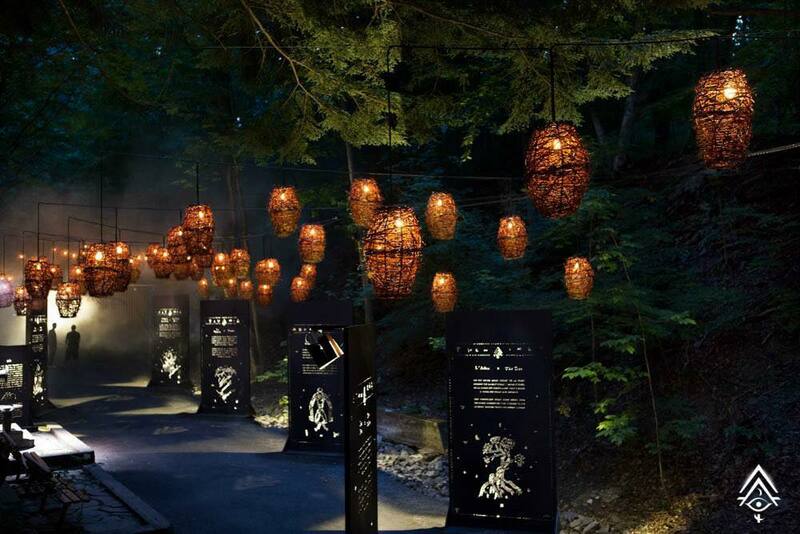 Stroll on the Luminous Pathway, step through the Shimmering Islands, and marvel at the glowing Lantern Passage. 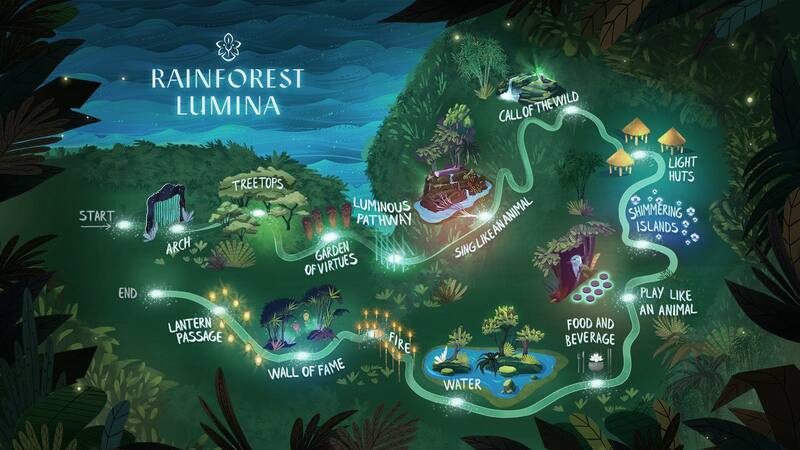 Check out the trailer for Rainforest Lumina below. There are 7 timeslots available per night, and ticket prices are $22 for adults and $16 for children between ages 3 and 12. 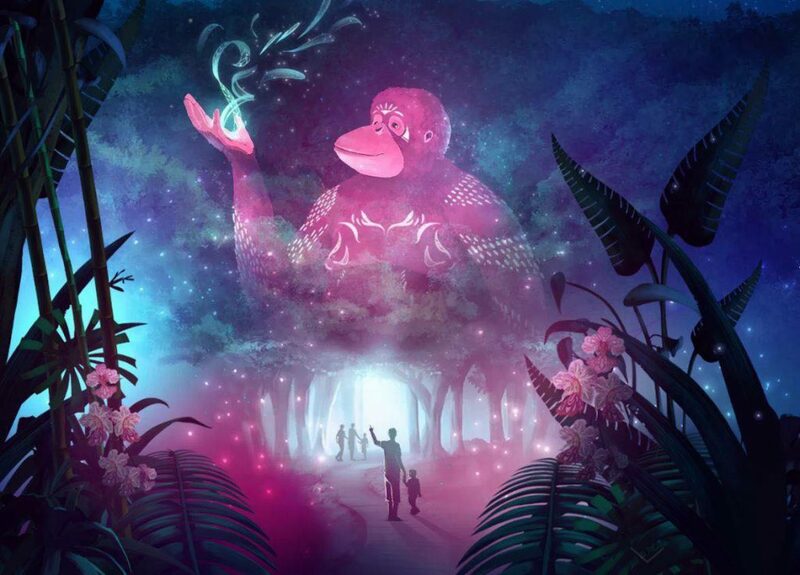 This is a rare opportunity to experience the Singapore Zoo in the dark so gather the family and take the kids to Rainforest Lumina this July!